 Iran, Jan. 30, 2019 - New reports are arriving from members of Resistance Units, a network inside Iran associated to the opposition People's Mojahedin Organization of Iran (PMOI/MEK). Members of a resistance unit in Tehran set fire to a poster of Iranian regime Supreme Leader Ali Khamenei and founder Khomeini located on the Zarnan Road. In Mashhad, northeast Iran, members of Resistance Unit 130 set fire to a poster containing images of the Revolutionary Guards (IRGC). The resistance unit members were chanting “Death to Khamenei, Hail to Rajavi,” referring to Iranian Resistance leader Massoud Rajavi and opposition President Maryam Rajavi, president-elect of the National Council of Resistance of Iran (NCRI). In Mazandaran Province, northern Iran, members of a resistance unit set fire to a Khomeini/Khamenei poster placed above the door of a local IRGC Basij base. Members of a resistance unit in Songhor of Kermanshah Province, western Iran, also set fire to the entrance of a nearby IRGC Basij base. We can now be certain in saying the PMOI/MEK and the organized Iranian Resistance movement are realizing the overthrow of this regime. Massoud Rajavi based his strategy on “resistance units” inside Iran, with the objective of establishing units inside the society and forming a bond between the files of this revolution with the ranks seen in the central core of this movement, being the PMOI/MEK. From the Iranian regime’s state-controlled media and remarks heard from numerous regime officials, we can easily conclude that the resistance units have transformed into a major concern for the mullahs’ apparatus. The mullahs’ own media outlets even go the distance by emphasizing the role of other so-called opposition movements to thus decrease the importance and credibility of the Iranian opposition coalition NCRI and the PMOI/MEK as the core member of this opposition movement. In all revolutions we have witnessed how the ruling regime’s resort to utter crackdown and threats eventually lead to its downfall. Although all such examples have led to the regime’s overthrow through a massive and revolutionary movement, all regime’s consider themselves to be an exemption.